Not just born from a love of playing at the beach, Bamzu is an experiment in how to re-think product development and in turn, customer involvement in the 21st century. It's also a great way to encourage local craft and help get us off our devices from time to time. 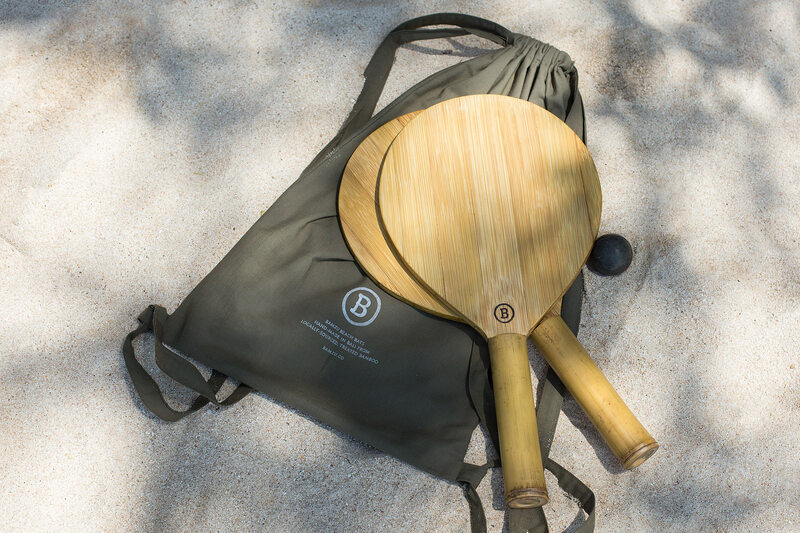 Our first product, the handmade beach bats, are crafted from locally sourced bamboo and come in a pair with an upcycled squash ball and a drawstring multipurpose beach bag which acts as the only packaging. They are only produced in small batches and available exclusively upon request here.